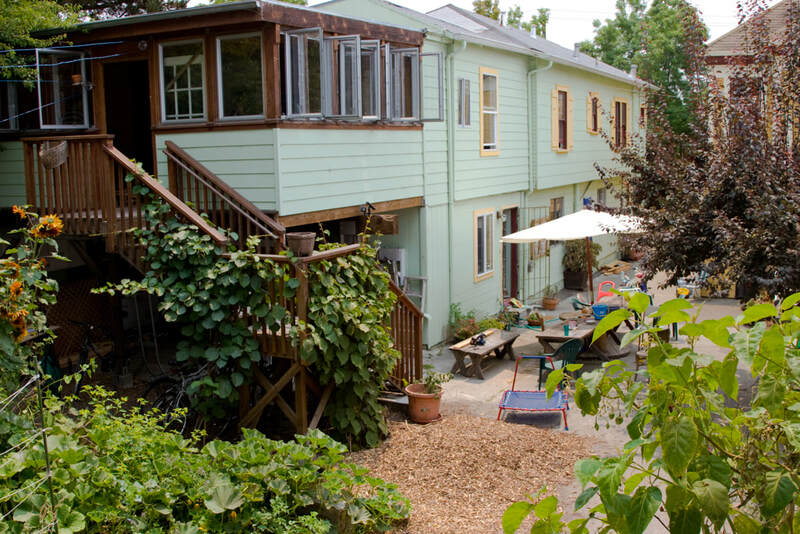 Mariposa Grove Co-Housing is a democratically-governed community in North Oakland including renters and homeowners. 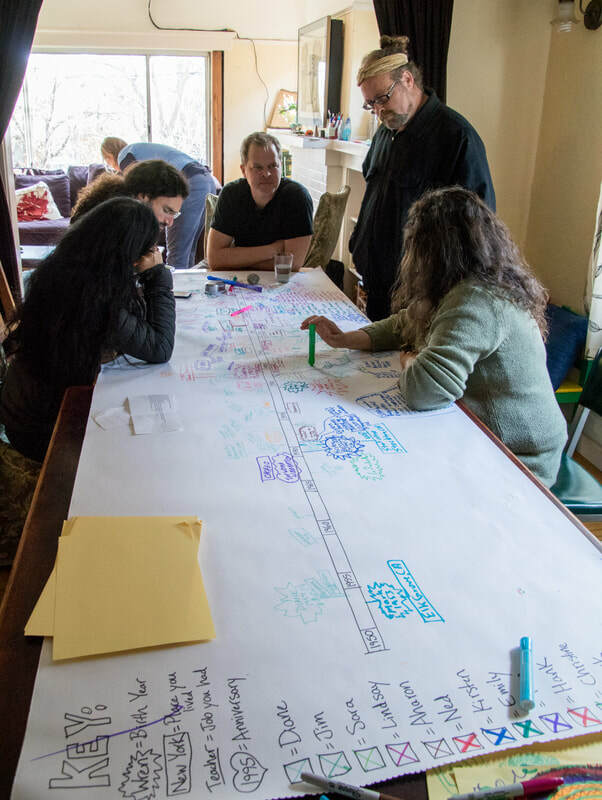 Started in 1998 by a founder dedicated to activism, art, and affordable housing; the land is now owned by the Northern California Land Trust (NCLT). NCLT enforces resale price limits such that our units retain their moderate prices rather than increasing with market speculation (prices increase only with the area median income and improvements). ​​In addition to our individual homes, we share gardens, a chicken coop, and a “common house” with guest rooms, an art room, kids’ play space, an office, a large kitchen, and dining space. Each unit has its own kitchen, but the large kitchen/dining space is used for community meals, parties, social justice movie nights, as well as our meetings. ​Mariposa Grove is more than just a place to live. 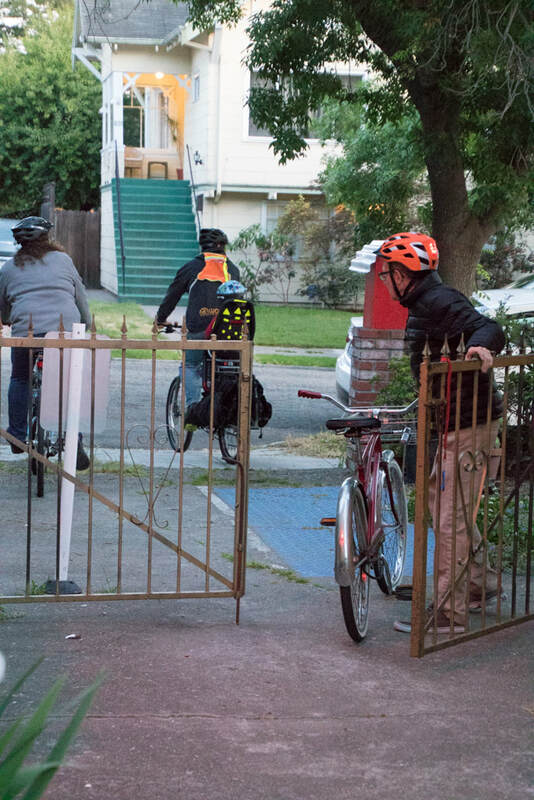 We believe that our connections to each other and to our neighborhood make this a special place. 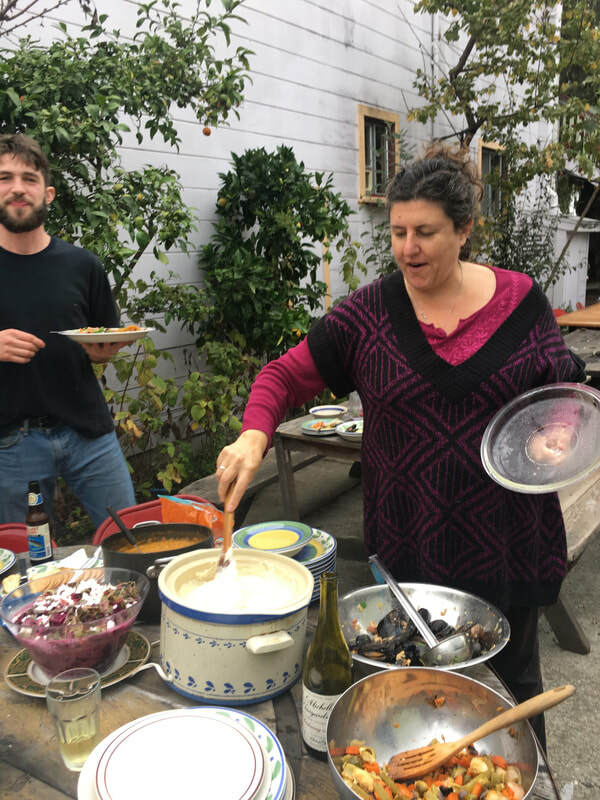 There are many ways that we spend time together: eating, playing, gardening, working on projects, sharing skills and knowledge, getting to know our neighbors, and hanging out together. We are always looking to find ways to be more connected and engaged with our neighbors and the larger community and strengthen our commitment to social justice and sustainability. Some ways we do this: through our individual efforts in the paid or volunteer work we do; sharing and talking about what we are reading and learning; having social justice movie nights; making informal connections with our neighbors (examples: talking to a neighbor and finding out that they have a ton to teach us about the neighborhood’s history or taking the time to play or read books with the neighbor kids or listen to what a neighbor needs help with.) We also host an annual neighborhood BBQ as well as a pumpkin carving party for the neighborhood kids, we are a drop-off for Food-Not-Bombs, we offer free meeting space to various community groups and do fundraisers for local organizations (see Events page for past or upcoming events).